Santa Clara and Los Angeles, CA, USA - October 15, 2018 - The latest find: NVIDIA RTX ray-tracing technology, which promises to make photo-real 3D design interactive and intuitive, with over 10x faster performance for Adobe Dimension on NVIDIA RTX GPUs. What used to cost tens of thousands of dollars on ultra-high-end systems will be able to run on a desktop with an NVIDIA RTX GPU at a price within reach of millions of graphics designers. Check out a tech preview of this technology at Adobe MAX, in Los Angeles, in NVIDIA booth 717. • NVIDIA RTX powers advanced Adobe Dimension renderer tech preview at Adobe MAX. Oil and canvas. Thunder and lightning. Salt and pepper. Some things just go together - like Adobe Dimension CC and NVIDIA RTX ray tracing, which are poised to revolutionize the work of graphic designers and artists. Adobe Dimension CC makes it easy for graphic designers to create high-quality, photorealistic 3D images, whether for package design, scene visualizations or abstract art. And Adobe Research is constantly innovating to make it even easier for designers to create faster and better. The latest find: NVIDIA RTX ray-tracing technology, which promises to make photo-real 3D design interactive and intuitive, with over 10x faster performance for Adobe Dimension on NVIDIA RTX GPUs. Designers across various disciplines, from automotive to architecture, can use NVIDIA Holodeck to review their concepts in full fidelity with colleagues and clients from anywhere in the world. Together, they can easily convey ideas, share feedback, and efficiently reach design goals in real time. What used to cost tens of thousands of dollars on ultra-high-end systems will be able to run on a desktop with an NVIDIA RTX GPU at a price within reach of millions of graphics designers. Check out a tech preview of this technology at Adobe MAX, in Los Angeles, in NVIDIA booth 717. Adobe Dimension enables designers to incorporate 3D into their workflows, from packaging design to brand visualization to synthetic photography. Adobe makes 3D accessible by handling the heavy lifting of lighting and compositing with Adobe Sensei machine learning-based features, then producing a final, photorealistic output using the Dimension ray tracer. “We’re partnering with NVIDIA on RTX because of its significant potential to accelerate our two core pillars – ray tracing and machine learning,” said Ross McKegney, director of Engineering for Adobe Dimension CC. Ray tracing is the technique modern movies rely on to produce images that are indistinguishable from those captured by a camera. Think realistic reflections, refractions and shadows. The easiest way to understand ray tracing is to look around you. The objects you’re seeing are illuminated by beams of light. Now turn that around and follow the path of those beams backwards from your eye to the objects that light interacts with. Historically, though, computer hardware hasn’t been fast enough to use these 3D rendering techniques in real time. Artists have been limited to working with low-resolution proxies, slow design interaction and long waits to render the final production. But NVIDIA RTX changes the game. NVIDIA has built ray-tracing acceleration into its Turing GPU architecture with accelerators called RT Cores. These accelerators enable artists to smoothly interact with a full-screen view of their final image. Lighting changes appear in real time, so artists can quickly get just the look they need. Camera changes, including depth of field, happen in real time, so artists can frame shots perfectly just like they would in a real camera. • Adobe Dimension & NVIDIA RTX Tech Preview: Experience the power of interactive ray tracing in person with a hands-on tech preview of the RTX-powered Dimension renderer – NVIDIA booth 717. • NVIDIA Holodeck VR Experience with Adobe: Step into VR with NVIDIA Holodeck for a virtual design review of photorealistic 3D assets created in Adobe Dimension CC. First come, first serve at booth 212. 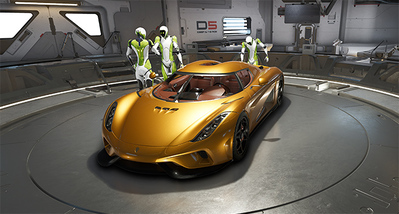 • Experience video, art and design with real-time ray tracing and AI capabilities. You’re a creator with an imagination running at the speed of light. And nothing should — especially not the system that powers your favorite creative apps. Michael Steele joined NVIDIA in 2008 and has more than 20 years of experience in PC computing, gaming, telecom and networking businesses, including a variety of marketing and business roles with EDS, NexGen, AMD, RMI and NVIDIA. Steele was GM of NVIDIA’s Consumer Apps group and Marketing VP at AGEIA, leading real-time physics (now NVIDIA PhysX) technology into video games and natural motion simulations. He currently manages Media and Entertainment Strategic Alliances for GPU visualization and parallel computing. He’s an Indiana University MBA grad, but now lives in California with his wife and two daughters. In his free time, he plays basketball, tennis and golf, coaches soccer, and does a little mountain biking. On the side, he does as much video and photo production as possible (using NVIDIA GPUs for editing, of course).